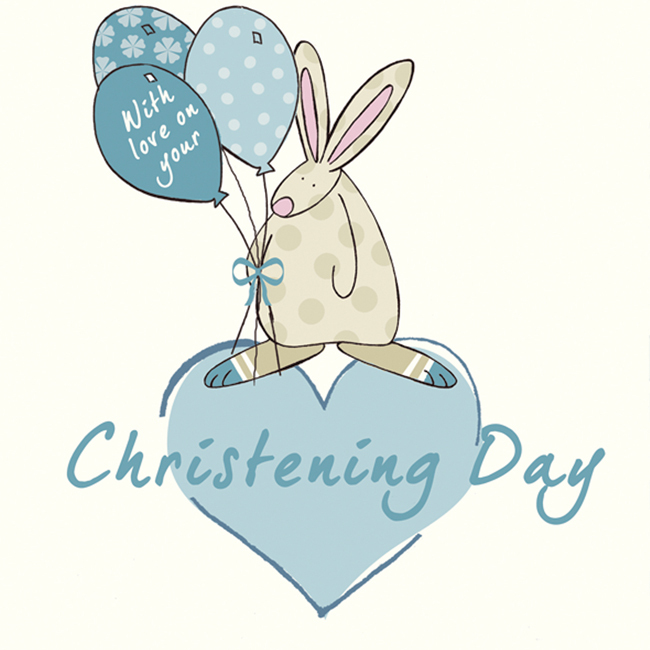 Christening Boy Greeting Card by Rufus Rabbit. A special card for a special occasion. This Rufus Rabbit Christening boy greeting card has glittered feet, stars and balloon. A special card a for a special day. We print our cards in the UK on forestry sustainable board. Each card comes with a white envelope packed in a cello bag. This design by Anna Danielle, creator of Rufus Rabbit has a secret hope that Rufus it will become a firm favourite with your little one, (even if the moment is fleeting) as there can be no greater honour!